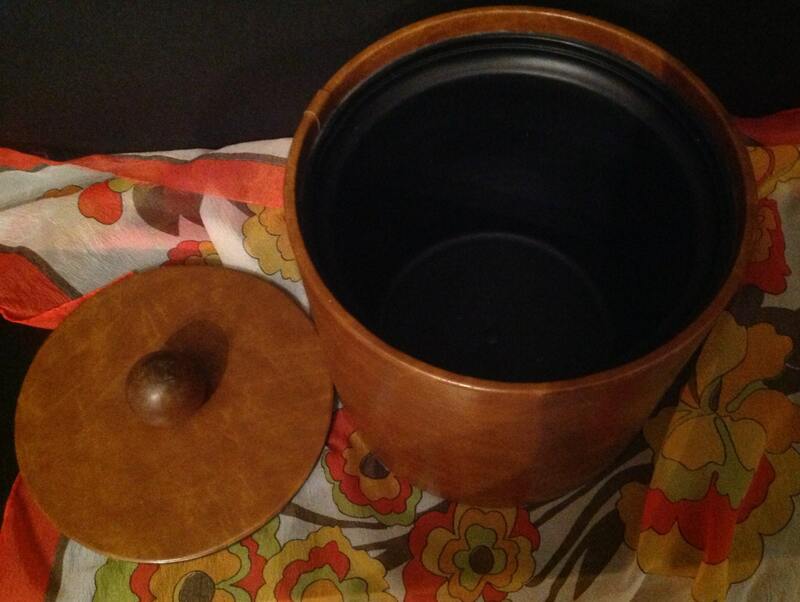 vintage wood-look vinyl ice bucket marked Elmar Mfg. 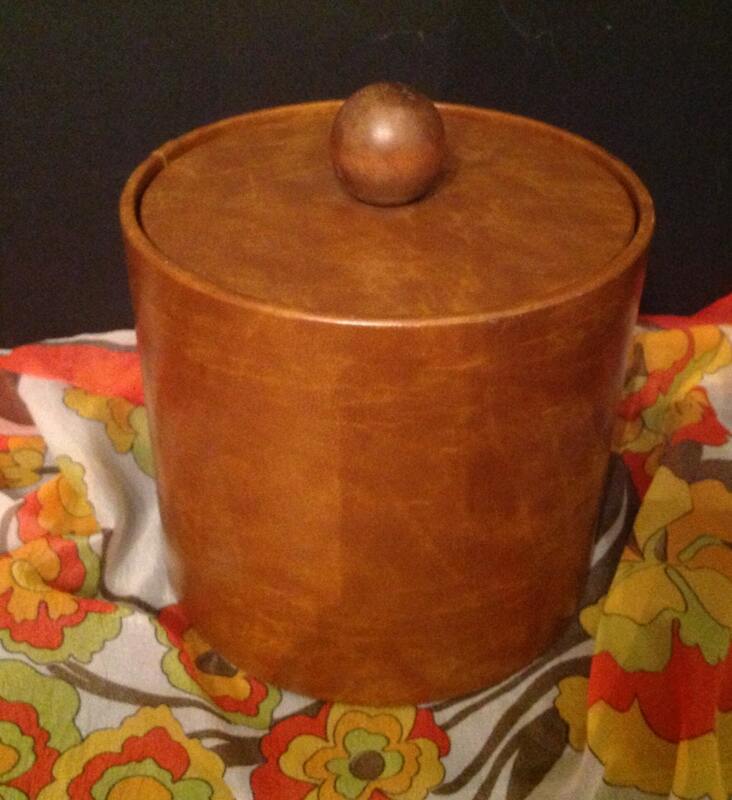 Offered is a vintage ice bucket manufactured by Elmar Mfg. It looks like wood, but is actually covered in vinyl. The color is very similar to oak. The handle is a large wood sphere. The liner is black. Simple design to fit any decor. It is in very good clean condition. I reimburse shipping overages of $1.00 or more.